Nordic Naturals' exceptional quality cod liver oil is derived exclusively from wild Arctic cod. 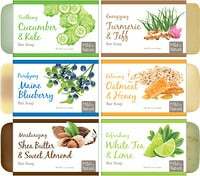 Important omega-3 fatty acids, EPA and DHA, help support healthy skin, coat, joints, heart, and the development and maintenance of the brain and eyes. 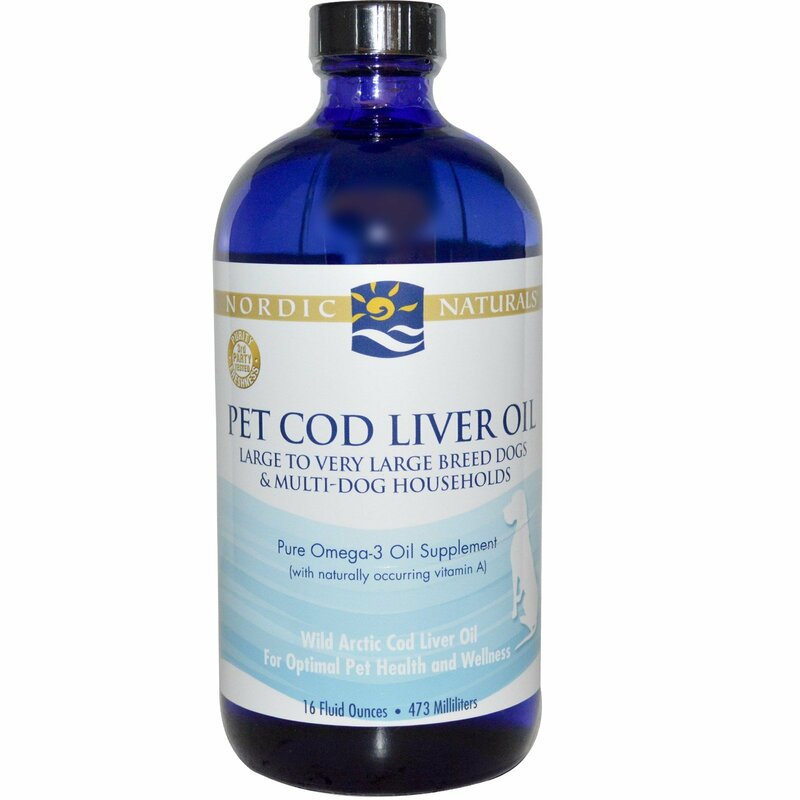 Cod liver oil is also a source of natural vitamin A. 20-39 lbs: 0.5 teaspoon (2.5 ml) (189 servings/bottle) 184 mg EPA/276 mg DHA/575 mg total omega-3s. 40-59 lbs: 1.0 teaspoon (5.0 ml) (94 servings/bottle) 368 mg EPA/552 mg DHA/1150 mg total omega-3s. 60-79 lbs: 1.5 teaspoons (7.5 ml) (63 servings/bottle) 552 mg EPA/828 mg DHA/1725 mg total omega-3s. 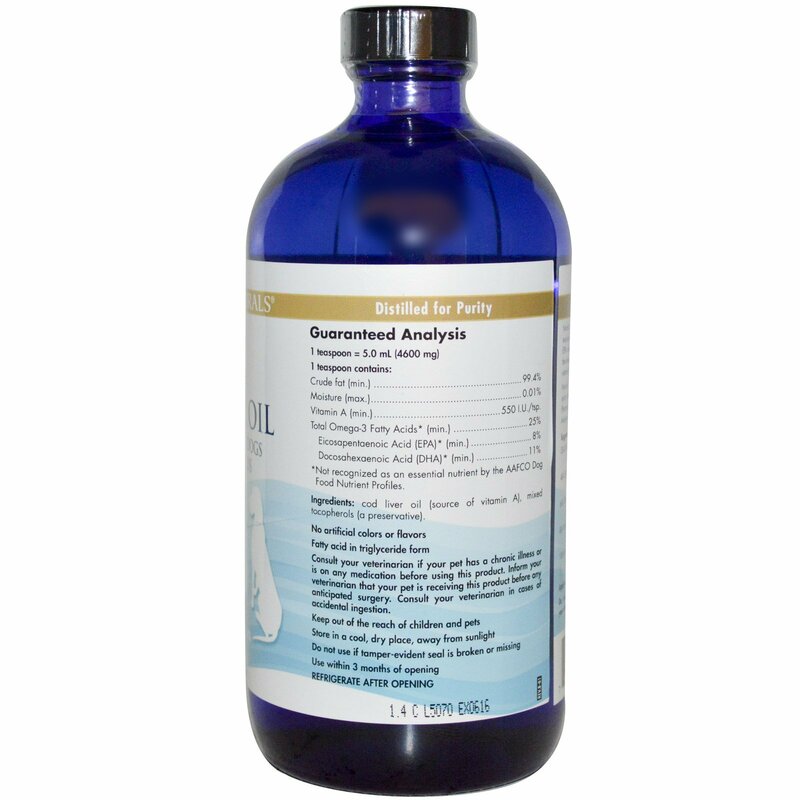 80-99 lbs: 2.0 teaspoons (10 ml) (47 servings/bottle) 736 mg EPA/1104 mg DHA/2300 mg total omega-3s. 100+ lbs: 3.0 teaspoons (15 ml) (31 servings/bottle) 1104 mg EPA/1656 mg DHA/3450 mg total omega-3s.